Annie Kendall arrives at London’s Bristol House to research ancient artifacts from the Holy Land. Her flat has two remarkable features: a stunning black-and-white mural of London scenes, and—apparently—the ghost of a Carthusian monk who leaves mysterious traces and refuses to be ban-ished. Hollowed out by loss and regret, and desperate to change her life and put her career back on track, Annie is determined to ignore the mysteries that slowly gather her into their net. Oblivious to any personal peril, Annie pursues her research and meets Geoff Harris, a well-known TV personality who bears an eerie resemblance to the monk haunting her flat. Why have both these figures come into her life, and what do they want? This riveting dual-period narrative seamlessly blends a haunting supernatural thriller with the vivid history of Tudor London, a place where monks are being ex¬ecuted, Jews have been banished, and the power of Henry VIII and Thomas Cromwell reaches into every corner of the kingdom. Annie’s search leads her to unravel the twists of time and emerge as a woman strengthened by the mysteries of what we can and cannot know, able to forgive herself for the past, and trust love in the future. 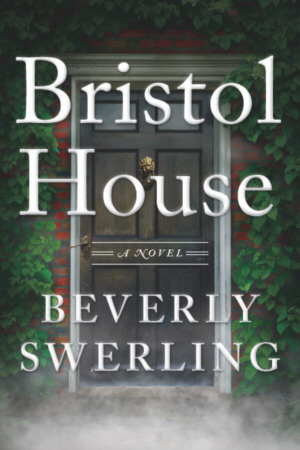 Widely acclaimed for her City of Dreams series, Beverly Swerling here delivers an enchanting and epic tale of an historian and a monk half a millennium apart.